Hand-drawn cover artwork by Tom Sutton and Bill Wray featuring Sulu, from Star Trek #20. In this issue, which is titled “Giri” (Japanese for honour), Commander Sulu found excitement and danger as he took shore leave for a wedding. This original pencilled-and-inked artwork is drawn on Bristol board by penciller Tom Sutton and inker Bill Wray. 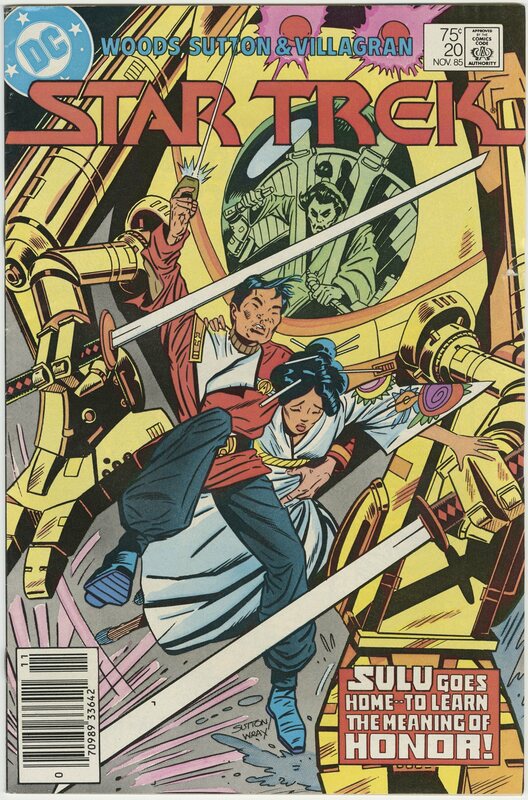 The cover shows Sulu using a sword to defend himself against Reijiro, the groom, who operates a cyber suit. This was the first cover to feature Sulu alone, and shows the Starfleet officer using a sword — although he does not wield one in the comic. 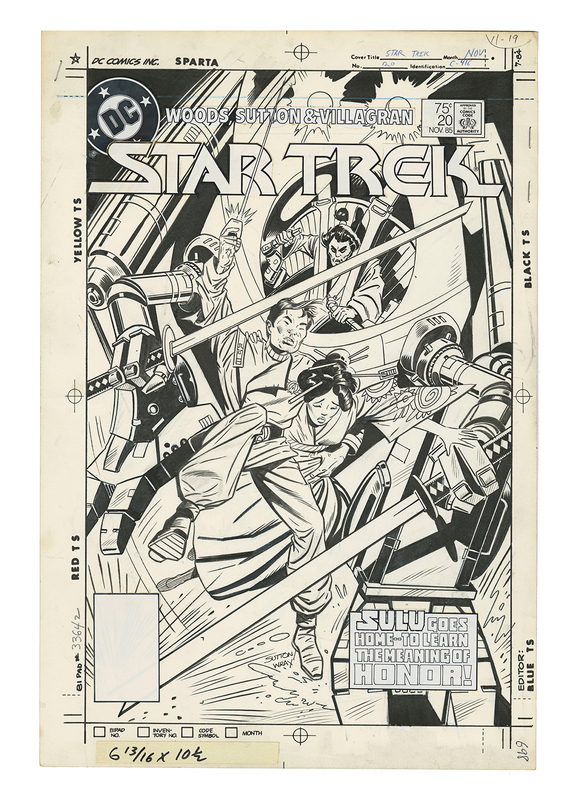 Pasted onto the artwork are the artist’s names, issue block, title art, barcode block and tagline, which reads: “SULU GOES HOME -- TO LEARN THE MEANING OF HONOR!” On the back of the sheet is a DC Comics stamp and a handwritten date, “5/8/85”.